After 20 years of seclusion, this first-year 911 S will be risen from its slumber. After rolling off the line in 1967, this 911 S journeyed to Ohio, where its first owner purchased the car from Stoddard Imported Cars. The second owner lived in New Hampshire and stored the car for nearly 20 years his barn. Tucked away from the outside world, with only 73,000 on its odometer, this model – one of only 1,823 S coupes produced in 1967 – was a prime candidate for restoration. This model is currently undergoing a full nut-and-bolt restoration, with the goal of returning it to its original condition. The body is being completely stripped down to address minor repairs and refinished in its original color – Polo Red. The original 901/02 S engine with Weber carburetors and five-speed manual gearbox is being disassembled, inspected and completely rebuilt. The restoration will leave no area untouched, from the revitalized suspension to the beautiful, yet purposeful, interior. 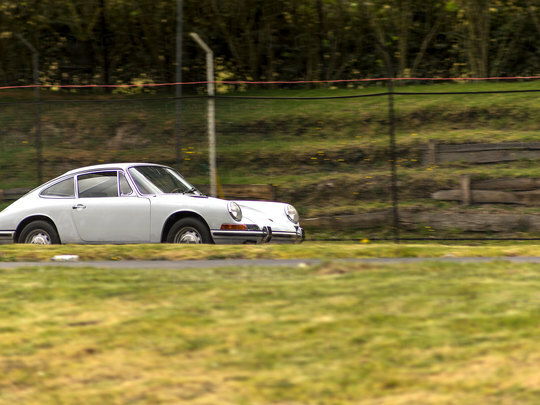 Want this classic Porsche 911 - or maybe something different? View our inventory of classic Porsches available for restoration, and contact us to get started. We look forward to building you the restored classic 911 of your dreams!